A supreme court verdict on Tuesday put paid to Sasikala Natarajan’s dream of becoming the chief minister of Tamil Nadu, and practically cleared the way for caretaker chief minister O Panneerselvam to continue to govern the state. The apex court found Sasikala, an aide of late chief minister J Jayalalithaa, guilty in a two-decade-old corruption case. She will have to spend four years in jail and has to pay a fine of Rs 10 crore in the disproportionate assets case. She has to surrender immediately. The judgment bars 61-year-old Sasikala from holding a public office and contesting elections for 10 years. This is like a shot in the arm for Panneerselvam who has been fighting a bitter and increasingly acrimonious battle with Sasikala. The days of political uncertainty following Jayalalithaa’s death on December 5 coupled with Panneerselvam’s resignation as chief minister on February 5 had kept the state on tenterhooks. 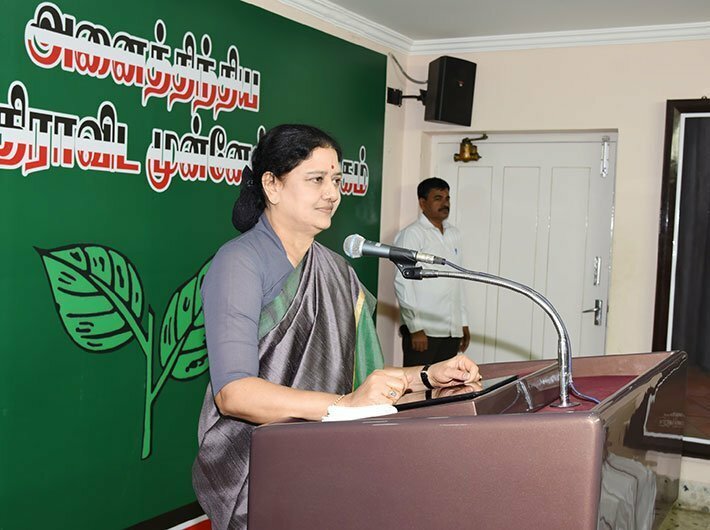 For days, all eyes were on governor C Vidyasagar Rao who did not promptly call Sasikala to form the government. He was criticized of doing the centre’s bidding in not giving Sasikala a decent change at the top job. There was also an accusation that the BJP was helping Panneerselvam and the centre was involved in the Tamil Nadu flux. But, Rao now stands vindicated. What Panneerselvam does next is important. For a politician who has always lived in the shadow of the towering Jayalalithaa, this could well be his time to prove his mettle. He needs to find his own footing, and not trip in race to be the chief minister. He has been gradually getting support from the AIADMK leaders, with some of the MPs openly favouring him. The party cadre too is inclined towards him. Early Tuesday, hours before the supreme court verdict, AIADMK MLA SS Saravanan dramatically escaped from the luxury resort where he was staying along with about 100 lawmakers. He turned up the residence of Panneerselvam, popularly known as OPS, and expressed his support. Saravanan could not have timed it better and perhaps opened the floodgates of support for OPS. He knows even a worm will turn.